Over the years many Mums and little ones have enjoyed sharing time together over tea, coffee and home made cakes every Tuesday. As a natural course we have seen this group change as the little ones grow up, but we have been encouraged to see many of the children go on to attend Bible Club and eventually 913 Club. The Ladies Fellowship began meeting in the 1950s and ladies come from other fellowships in the surrounding areas and from the village. There is a Guest Speaker each week and over the years the Gospel and the Word of God has been faithfully preached. 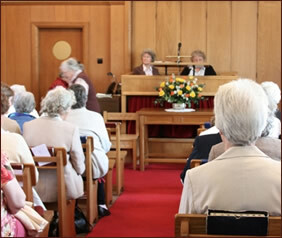 In May every year an open invitation goes out to all the ladies in the village to come and listen to the message of a Guest Speaker and to join in the Anniversary tea afterwards. All ladies are welcome to join in at 2.15 pm on Tuesday afternoons. This meeting is a very important part of the life of the church. We meet together each week (Sunday, 5:30pm) prior to our evening service, and seek to encourage one another in the Christian Faith. This is a time for open prayer. 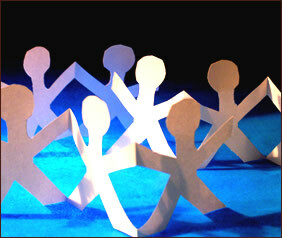 The Senior Singalong takes place on the first Tuesday of the month from October to May. 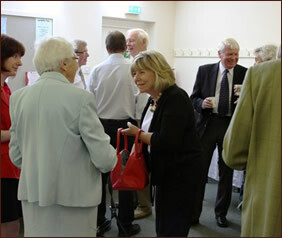 It is a time of singing favourite hymns for Senior Citizens with tea and light refreshments and this is followed by a short talk. The meeting joins with the Ladies Fellowship on this occasion. Please come and bring a friend. 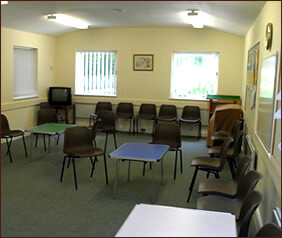 On Fridays from 6pm to 7pm children aged 4-9 years meet together in the church hall. For the first twenty minutes the children have a time of singing and a Bible story with a power point presentation. There is a break of ten minutes for refreshments. The final half hour is devoted to football on the nearby hard court and games or activities in the church hall. All children and young people are very welcome to join with us.